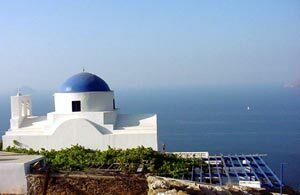 Serifos is a small island in the western Cyclades, located 62 nautical miles from Piraeus. 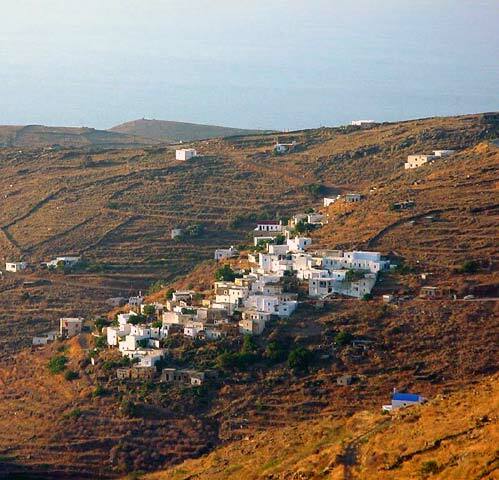 A modest 71.8 square kilometers, Serifos is surrounded by the small deserted islands Serifopula, Vous and Glaronissi. The mountains offer a splendid landscape of contrasts which attract admirers of natural beauty. 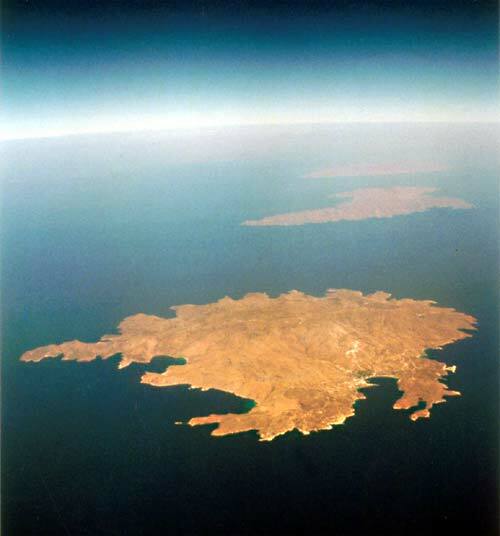 In the course of the year, the colors of the landscape vary from ochre in the dryness of summer, to a tender green background punctuated by the colors of wildflowers in spring.Though swept by winds that are at times very strong, agriculture once covered the island as evidenced by the terraces which still hold trees and vegetable gardens and where you may find goats, donkeys, hens or turkeys. From above Though rich in metals and semi-precious stones which once provided a rich economy on the island, today economic life is largely centered on tourism. 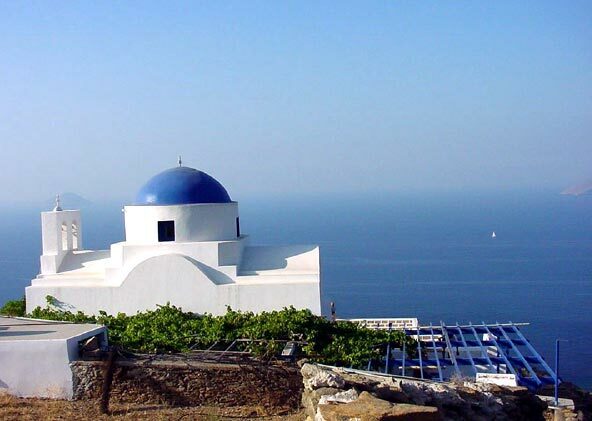 The highest point, Troulos, rises to 585 meters, and it is well worth the trip to take in the island's peaks, valleys, and the escarpments, in the hollows of which nest small villages, and innumerable small chapels.Of course, in the distance is the sumptuous coast line. 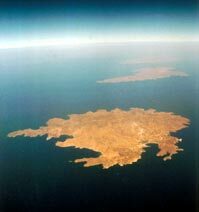 81 km of coastline is bordered by beaches as remarkable as they are varied. Panorama on Chora et Livadi All tastes will be accommodated: for the family, soft inclined beaches; for hikers, less traveled shores; and those entranced by small isolated coves will find them after a walk. 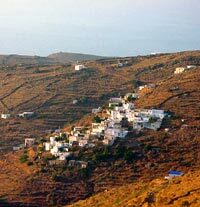 Serifos offers the simplicity of traditional island life, a culture alive with the history of Cycladic civilization, and a singular spirit of freedom.